For the motorcycle marque, see Sunbeam Cycles. Sunbeam Motor Car Company Limited was a British motor car manufacturer with its works at Moorfields in Blakenhall, a suburb of Wolverhampton in the county of Staffordshire —now West Midlands. Its Sunbeam name had been registered by John Marston in 1888 for his bicycle manufacturing business. Sunbeam motor car manufacture began in 1901. The motor business was sold to a newly incorporated Sunbeam Motor Car Company Limited in 1905 to separate it from Marston's pedal bicycle business—Sunbeam motorcycles were not made until 1912. In-house designer Coatalen's enthusiasm for motor-racing accumulated expertise with engines. Sunbeam manufactured their own aero engines during the First World War and 647 aircraft to the designs of other manufacturers. 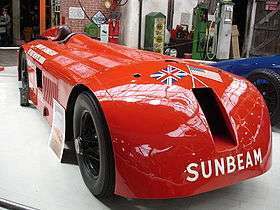 Engines drew Sunbeam into Grand Prix racing and participation in the achievement of world land speed records. In spite of its well-regarded cars and aero engines by 1934 a long period of very slow sales had incurred continuing losses. Sunbeam was unable to repay money borrowed for ten years in 1924 to fund the Grand Prix racing programme and a receiver was appointed. 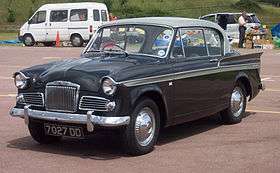 There was a forced sale and Sunbeam was picked up by the Rootes brothers. Manufacture of Sunbeam's now old-fashioned cars did not resume under the new owners but Sunbeam trolleybuses remained in production. Rootes had intended to sell luxury cars under the Sunbeam name but nearly four years later in 1938 the two brothers instead chose to add the name Sunbeam to their Talbot branded range of Rootes designs calling them Sunbeam-Talbots. In 1954 they dropped the word Talbot leaving just Sunbeam. Sunbeam's name continued to appear on new cars in 1982 under the ownership of Peugeot or Groupe PSA. John Marston, the London-educated son of a landowner and sometime mayor of Ludlow, had been apprenticed to Edward Perry, tinplate-works master and twice mayor of Wolverhampton. 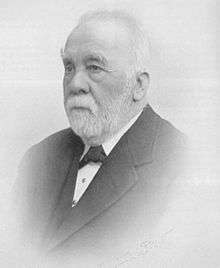 In 1859 aged 23 Marston bought two other tinplate manufacturers in Bilston, four miles away, and set himself up on his own account. 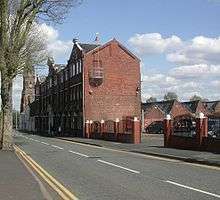 On Perry's death Marston bought his Jeddo Works in Paul Street Wolverhampton left Bilston and continued Perry's business. An avid cyclist in 1887 he established his Sunbeamland Cycle Factory in his Paul Street premises manufacturing and assembling pedal bicycles he branded Sunbeam. His Sunbeam trademark was registered in 1893. In 1895 a company, John Marston Limited, was incorporated and took ownership of John Marston's business. 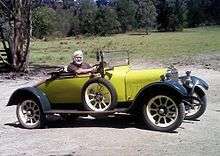 The Sunbeam trademark was registered for motor-cars in 1900. Rugby-educated Thomas Cureton 1863—1921 began as his apprentice then became Marston's right-hand man in the cycle works and the cautious advocate of a motor-car venture. 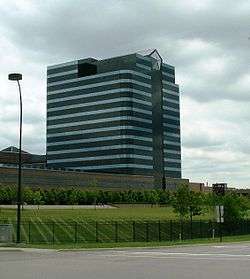 Their board of directors did not favour it but Marston and Cureton continued their project. Between 1899 and 1901 Sunbeam produced a number of experimental cars driven about Wolverhampton but none was offered for sale. In late 1900 they announced the purchase in Blakenhall of "a large area of land in Upper Villiers Street for the erection of works for the manufacture of cars" alongside the premises of his Villiers Engineering business. The first announcement of their new autocar was in the 22 September 1900 issue of The Autocar but no full description was provided to the public until February 1901. It would be supplied with a 2-seater body on a channel steel frame powered by a 4 horsepower horizontal engine with electric ignition intended to run at 700 rpm and have two forward speeds and reverse using belt drive to differential gears on the live axle. Dimensions: weight 10 cwt, overall measurements 84 inches by 57 inches. At the annual Stanley Cycle Show in November 1902 Sunbeam, thoroughly approved by the magazine's correspondent, displayed beside more Mableys a 12-horsepower four-cylinder car with the engine beneath a bonnet at the front, camshaft within the "crank chamber", a four-speed gearbox and all four artillery wheels of the same size fitted with pneumatic tyres. Price 500 guineas or £525. Listed in February 1904 its specification was: four cylinders 80 × 120 mm. 1527 cc engine designed to run at 1,000 rpm, four-speed gearbox, rear wheels driven by chain drives from the differential. Weight 16 cwt. Price £512. In February 1904 the 12-horsepower car was given a six-cylinder 16-horsepower stablemate. Like the 12 the new engine was designed to give its full power at what were even then considered low engine speeds. Particular note was made that special attention had once more been paid to further controlling the airflow beneath the car's apron and the chassis to reduce the car's disturbance of dust on the road. The new car also featured chain cases so the chains ran in oil, were rendered almost silent and were protected from dirt. London-born Thomas Charles Willis Pullinger (1866–1945) joined Sunbeam in 1902. He had repaired then made bicycles and then in 1891 was sent by Humber to France for Humber's joint venture with Gladiator but Humber struck difficulties and Pullinger stayed in France with Alexandre Darracq as Darracq's designer and personal assistant. He moved on as works manager to other French firms designing perhaps the first small car and certainly designing the first water-cooled cylinder head. Very keen to design and build his own car, he moved back to England and arrived at Sunbeam in Wolverhampton on a motor-quadricycle he had built himself. He prepared a report for the Sunbeam directors and delivered it on 11 November 1902. His first recommendation was that Sunbeam should buy in a car from an established firm then, as sales built up, buying them without certain components which would instead be made by Sunbeam until all that was bought in would be an engine. The report concluded with his advice that the cars should be supplied to Sunbeam by Berliet. He also advised the remaining stock of Mabley cars should be sold off as quickly as possible. In January 1905, the Sunbeam Motor Car Company Ltd was formed to purchase and remove motor cars and their Villiers Street Works from the rest of the John Marston business which retained Sunbeam Cycles. Six years later after several further issues of shares to provide capital for greater expansion there was a (technically) public offer of ordinary and preference shares to Sunbeam agents and their customers representing a small part of the company's capital. Twelve months later in January 1912 its shares were formally listed on the London Stock Exchange and Sunbeam became a public listed company. The Breton car designer, Louis Coatalen, joined Sunbeam from Hillman-Coatalen in 1909, and became chief designer. He soon reorganised production so almost all parts were built in-house instead of relying on outside suppliers with their variable quality. He quickly introduced his first design, the Sunbeam 14/20, their first to use a shaft-driven rear axle upgrading it in 1911 with a slightly larger engine as the 16/20. 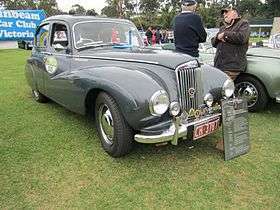 Sunbeam made conventional cars of high quality in direct competition with Rolls Royce. Sunbeams were bought by people who thought a Rolls-Royce a little ostentatious. Coatalen was particularly fond of racing as a way to drive excellence noting that "Racing improves the breed". After designing his 14/20 he began to design advanced high-power engines combining overhead valves with a pressurised oil lubrication system. In 1910 he built Sunbeam Nautilus his first dedicated land-speed-record car powered by a 4.2-litre version of this engine design. The Nautilus implemented a number of early "wind cutting" or streamlining features but the specially built engine suffered various problems and the design was eventually abandoned. The next year he made Sunbeam Toodles II featuring an improved valve system that made the Nautilus engine a success. Coatalen won 22 prizes in Toodles II at Brooklands in 1911 and also achieved a flying mile of 86.16 mph (138.66 km/h) to take the 16 hp Short Record. Sunbeam cars powered by more conventional (for the time) side-valve engines featured prominently in the 1911 Coupe de l'Auto race, and improved versions won first, second and third the next year. Sunbeams continued to race over the next few years, but its management had moved on to other interests. Coatalen also designed a number of passenger cars, notably the Sunbeam 12-16. By 1911 Sunbeam were building about 650 cars a year and were regarded as a substantial motor manufacturer. Wolseley sold 3,000 cars of similar quality in 1913. Ford sold 6,000 Model Ts that same year assembled at Trafford Park, Manchester. In 1914 Ford switched on Britain's first moving assembly line for car production and it began its run at a rate of 21 cars an hour. In 1912 they began to make aircraft engines introducing a series of engines that were not a commercial success. Coatalen seemed to believe the proper solution was a bespoke design for an aircraft designer's requirements instead of designing and producing a successful engine to let the aircraft designers build their aircraft around it. Sunbeam's designs included the troublesome V8 Sunbeam Arab, which was ordered in quantity in 1917 but suffered from continual vibration and reliability problems and only saw limited service and the more successful V12 Sunbeam Cossack. Meanwhile Coatalen continued to experiment with ever-more odd designs such as the star-layout Sunbeam Malay, which never got beyond a prototype, the air-cooled Sunbeam Spartan and the diesel-powered Sunbeam Pathan. However Sunbeam was successful with the introduction of newer manufacturing techniques and became one of the first to build aluminium single-block engines, a design that would not become common until the 1930s. During the First World War Sunbeam built trucks and ambulances. It also participated in the Society of British Aircraft Constructors pool which shared aircraft designs with anyone that could build them. In this role Sunbeam produced 15 Short Bombers powered by their own Sunbeam Gurkha engines, 20 Short Type 827s, 50 Short 310s, and others including Avro 504 trainers; they even designed their own Sunbeam Bomber, which lost to a somewhat simpler Sopwith design. Sunbeam had produced 647 aircraft of various types by the time the lines shut down in early 1919. S.T.D. Motors Limited was first incorporated in London in 1905, at that time bearing the name A Darracq and Company (1905) Limited, but continued to manufacture its Darracq cars in Suresnes, Paris. In 1919, following the First World War, Darracq bought a London motor manufacturer, Clément-Talbot. In June 1920 Darracq bought Wolverhampton's Sunbeam Motor Car Company Limited. All businesses retained their separate identities. The Sunbeam car would continue to be made at Moorfield Works, Wolverhampton, the Talbot in North Kensington and the Darracq at Suresnes with central buying, selling, administration and advertising departments with S T D in Britain On August 13, 1920 Darracq changed its name to S T D Motors Limited. The initials represented Sunbeam, Talbot and Darracq. W & G Du Cros Limited: Yellow Taxi-cabs, charabanc and bus bodies, motorcar bodies and assembly of French-sourced Talbot components for sale in the British market as Darracq-Talbot cars. 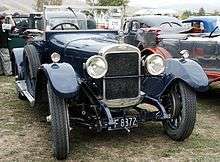 Cars made by Talbot SA (Automobiles Talbot) imported from France to England were renamed Darracq to avoid confusion with the English Talbot products. In addition to quality limousine, saloon and touring cars, Coatalen was pleased to build racing cars for Henry Segrave—who won the French and Spanish GPs in 1923/4. 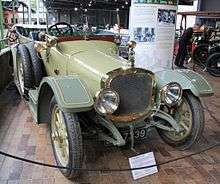 In 1921 Segrave participated in his first ever Grand Prix on Talbot no.10, in effect a re-badged 1921 Grand Prix Sunbeam; this important straight eight dohc, four valve per cylinder aluminium block car influenced by the great designer Ernest Henry proceeded to win the 1922 Tourist Trophy in the hands of Jean Chassagne. A different team of 2-litre dohc 1922 Grand Prix Sunbeams designed by Ernest Henry were entered in that year’s French Grand Prix. He also built a Brooklands racer with a purpose-built V12 18.3 litre engine whose design was a hybrid of the Sunbeam Manitou and the Sunbeam Arab aero engines. This engine had four blocks of three cylinders arranged in two banks set at 60 degrees (unlike the Arab which were set at 90 degrees). Each cylinder had one inlet and two exhaust valves actuated by a single overhead camshaft. The two camshafts were driven by a complex set of 16 gears from the front of the crankshaft - a very similar arrangement to that used on the Maori engine which had two OHC per bank of cylinders. This famous car (Sunbeam 350HP) established three Land Speed Records - the first achieved by Kenelm Lee Guinness at Brooklands in 1922 with a speed of 133.75 mph. Malcolm Campbell then purchased the car, had it painted in his distinctive colour scheme, named it Blue Bird and in September 1924 achieved a new record speed of 146.16 mph at Pendine Sands in South Wales, raising it the following year to 150.76 mph. The same year Coatalen's new 3 litre Super Sports came 2nd at Le Mans—beating Bentley—this was the first production twin-cam car in the world. In 1926 Segrave captured the LSR in a new 4 litre V12 Sunbeam racer originally named Ladybird and later renamed Tiger. Coatalen decided to re-enter the LSR field himself, building the truly gigantic Sunbeam 1000HP powered by two 450 hp (340 kW) Matabele engines. On 29 March 1927 the car captured the speed record at 203.792 mph (327.971 km/h). The car is now at the National Motor Museum, Beaulieu, UK. Sunbeam's great era was really the 1920s under Coatalen's leadership with very well engineered, high quality, reliable cars — and a great reputation on the track. A later land speed record attempt, the 1930 Silver Bullet, failed to achieve either records, or the hoped-for advances in aero engines. It is now almost forgotten. Sunbeam did not survive the Great Depression. It fell into receivership in 1935 and was sold by the receiver to the Rootes brothers. When at its height in the 1920s, Sunbeam Motor Car Company’s Moorfield works employed 3,500 staff on their 50-acre site. The buildings covered a full 15 acres. Under VSCC rules all cars made in Wolverhampton at least qualify as post-vintage thoroughbreds. All cars built before the end of the First World War are covered by the VCC. 1924–26 14/40 and big brother 20/60 developed from 14 hp with two more cylinders added. 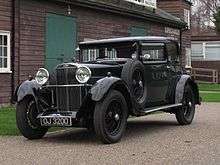 1926–30 3 litre Super Sports, Sunbeam's Bentley rival. 1926–30 16 hp (16.9) and 20 hp (20.9). Two new designs with six-cylinder integral cast iron block and crankcase. Both were produced over many years. The 20.9 with a 3-litre engine producing 70 bhp shared components with the 3-litre Super Sports (brakes, suspension, steering, axles, gearbox, transmission). 1926–32 20/60 developed into 25 hp with bore increased from 75 to 80 mm. A few 8-cylinder cars produced in this period, 30 hp & 35 hp. 1930–32 16 hp bore increased from 67 to 70 mm, (16.9 to 18.2 hp). 1931–33 New model 20 hp introduced with 80 mm bore and 7 main bearings rated at 23.8 hp. 1933 18.2 hp engine installed in Speed 20 chassis and renamed 'Twenty'. 1933–34 20.9 hp engine resurrected with improved exhaust manifold and downdraught carb installed in new cruciform braced chassis for the Speed 20. 1933–35 Twenty-Five introduced with modified 1931–33 23.8 hp engine. 1934–35 Dawn introduced. 12.8 engine and IFS. The most successful, judged by volumes, was the 16 hp (16.9) followed by 20 hp (20.9) made from 1926 to 1930. Whilst the 16 was solid and very reliable, it was a little underpowered at 2.1 litres; the 20.9 made a big jump to 3 litres and 70 bhp (52 kW; 71 PS) with similar body weight and vacuum servo brakes and was capable of 70 mph (110 km/h). Financial difficulties arose in the early years of the Great Depression and just before the opening of the October 1934 Olympia Motor Show an application was made to the court for an appointment of a receiver and manager for the two major subsidiaries of S T D, Sunbeam and Automobiles Talbot France. Clément-Talbot remained profitable and was sold to the Rootes brothers. It proved impossible for the directors to avoid the appointment of a receiver to Sunbeam Motor Car Company and S T D was unable to complete its sale to Rootes. However six months later in July 1935 Rootes Securities announced they had bought Sunbeam Motor Car Company and its subsidiary Sunbeam Commercial Vehicles. Car production was terminated but trolleybus production continued. Karrier's trolley-bus business was moved from Huddersfield to Moorfield (not Luton with other Karrier operations) and combined with Sunbeam but the same Karrier designs were to be produced. During wartime the factory produced the only trolleybus available in the UK; a four-wheeled double decker known as either the Karrier or Sunbeam W4. In 1946 soon after the end of the Second World War J. Brockhouse and Co Limited of West Bromwich, the engineering group, bought Sunbeam Commercial Vehicles but in September 1948 sold the trolley-bus part of the business to Guy Motors Limited. who built Sunbeam trolleybuses at their factory until the last was completed in 1964. The former Talbot plant in France was bought by the manager of the Suresnes plant Antonio Lago who from 1935 produced luxury cars badged Talbot-Lago. Rootes was an early proponent of badge engineering, building a single mass-produced chassis and equipping it with different body panels and interiors to fit different markets. They ended production of existing models at all the new companies, replacing them with designs from Hillman and Humber that were more amenable to mass production. 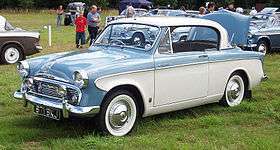 Although Rootes' intention had been to continue the Sunbeam name on a large and expensive luxury car, the eight-cylinder Sunbeam 30, after almost four years it was announced Sunbeam Motors and Clement-Talbot were now combined under the ownership of Clement Talbot Limited —since renamed Sunbeam-Talbot Limited— and would produce good quality cars at reasonable prices. 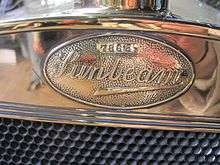 During 1937 Humber Limited bought Clement Talbot Limited and Sunbeam Motors Limited from Rootes Securities Limited. 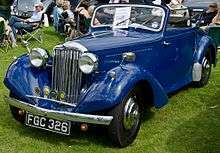 In 1938 Rootes created a new marque called Sunbeam-Talbot which combined the quality Talbot coachwork and the current Hillman and Humber chassis and was assembled at the Talbot factory in London. 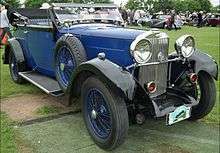 The initial two models were the Sunbeam-Talbot 10 and the 3-litre followed by the Sunbeam-Talbot 2 Litre and 4 litre models based on the earlier models only with different engines and longer wheelbases. Production of these models continued after the war until 1948. In the summer of 1948, the Sunbeam-Talbot 80 and Sunbeam-Talbot 90 were introduced, with a totally new streamlined design with flowing front fenders (wings). The 80 used the Hillman Minx-based engine with ohv and the 90 utilised a modified version of the Humber Hawk with ohv. The car bodies were manufactured by another Rootes Group company, British Light Steel Pressings of Acton, however the convertible drophead coupé shells were completed by Thrupp & Maberly coachbuilders in Cricklewood. The underpowered 80 was discontinued in 1950. The 90 was renamed the 90 Mark II and then the 90 Mark IIA and eventually in 1954 the Sunbeam Mark III, finally dropping the Talbot name. With the model name changes, the headlights were raised on the front fenders and an independent coil front suspension and the engine displacement went from 1944 cc to 2267 cc with a high compression head and developing 80 bhp (60 kW; 81 PS). There was one more model of the Sunbeam-Talbot that appeared in 1953 in the form of an Alpine, a two-seater sports roadster which was initially developed by a Sunbeam-Talbot dealer George Hartwell in Bournemouth as a one-off rally car that had its beginnings as a 1952 drophead coupé. It was named supposedly by Norman Garrad, (works Competition Department) who was heavily involved in the Sunbeam-Talbot successes in the Alpine Rally in the early 1950s using the Saloon model. The Alpine Mark I and Mark III (a Mark II was never made) were hand built like the Drophead Coupé at Thrupp & Maberly coachbuilders from 1953 to 1955 when production ceased after close to 3000 were produced. It has been estimated that perhaps only 200 remain in existence today. The Talbot name was dropped in 1954 for the Sunbeam Alpine sports car, making Sunbeam the sports-performance marque. In 1955 a Sunbeam saloon won the Monte Carlo Rally. Production ceased in 1956 and was replaced by the sporty Sunbeam Rapier. In 1959 a totally new Alpine was introduced, and the 1955 Rapier (essentially a badge-engineered Hillman Minx) was upgraded. After several successful series of the Alpine were released, director of US West-Coast operations, Ian Garrad, became interested in the success of the AC Cobra, which mounted a small-block V-8 engine in the small AC Ace frame to create one of the most successful sports cars of all time. Garrad became convinced the Alpine frame could also be adapted the same way, and contracted Carroll Shelby to prototype such a fit with a Ford engine. The result was the Sunbeam Tiger, released in 1964, which went on to be a huge success racking up 7,000 units in its 3 years of production compared with 70,000 over 9 years for the small engined car. But at this point, Rootes was in financial trouble. Talks with Leyland Motors went nowhere, so in 1964, 30 percent of the company (along with 50 percent of the non-voting shares) was purchased by Chrysler, who was attempting to enter the European market. Ironically, Chrysler had purchased Simca the year earlier, who had earlier purchased Automobiles Talbot, originally the British brand that had been merged into STD Motors many years earlier. Chrysler's experience with the Rootes empire appears to have been an unhappy one. Models were abandoned over the next few years while they tried to build a single brand from the best models of each of the company's components, but for management, "best" typically meant "cheapest to produce," which was at odds with the former higher-quality Rootes philosophy. Brand loyalty started to erode, and was greatly damaged when they decided to drop former marques and start calling everything a Chrysler. The Tiger was dropped in 1967 after an abortive attempt to fit it with a Chrysler engine, and the Hillman Imp–derived Stiletto disappeared in 1972. 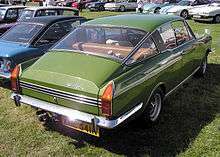 The last Sunbeam produced was the "Rootes Arrow" series Alpine/Rapier fastback (1967–76), after which Chrysler, who had purchased Rootes, disbanded the marque. The Hillman (by now Chrysler) Hunter, on which they were based, soldiered on until 1978. A Hillman Avenger-derived hatchback, the Chrysler Sunbeam, maintained the name as a model, rather than a marque, from 1978 to the early 1980s, with the very last models sold as Talbot Sunbeams. The remains of Chrysler Europe were purchased by Peugeot and Renault in 1978, and the name has not been used since. Brisbane City Council (Australia) imported Sunbeam single-deck trolleybus chassis 1951 - 1960. All withdrawn by 1969. Sunbeam, Wolverhampton, England, started to build aircraft engines in 1912. Louis Coatalen joined Sunbeam as chief engineer in 1909, having previously been Chief Engineer at the Humber works in Coventry. The company quickly became one of the UK's leading engine manufacturers and even designed an aircraft of its own. Sunbeam discontinued the production of aero engines after Coatalen left the company in the 1930s. Wikimedia Commons has media related to Sunbeam. "History of Sunbeam in Wolverhampton". Archived from the original on 2012-04-19.